Due to our ability to provide high quality Handling Equipments that meets the international standards we are continuously meeting the changing demands of the clients. Every single product in which we deal is processed by using superlative material. Thus, we are able to maintain the accuracy and quality of products from production till the dispatch of products. Equipped with all the latest equipment, our products undergo quality checks throughout the production process till the final delivery the product. Being a patron-centric firm; we are providing superior quality handling equipment to our clients. We are also customizing this range of product as per the specifications detailed by the clients. 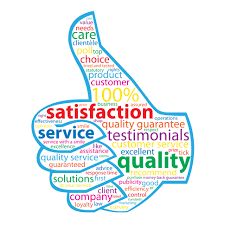 Apart from this, we try to satisfy our clients by offering them best quality product array. Our in-house quality testing unit is well-equipped and it is known for carrying out standardized quality testing procedures. Our quality personnel makes sure that the input factors used for manufacturing the products are all tested on various parameters before procurement.